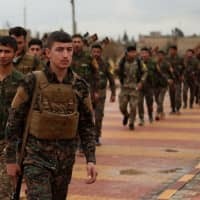 QAMISHLI, SYRIA - The U.S.-backed Syrian Democratic Forces said Saturday it had begun the “final battle” to oust the Islamic State group from the last scrap of territory it holds in eastern Syria. IS overran large parts of the country and neighboring Iraq in 2014, declaring a “caliphate” there, but various military offensives have reduced it to a fragment. 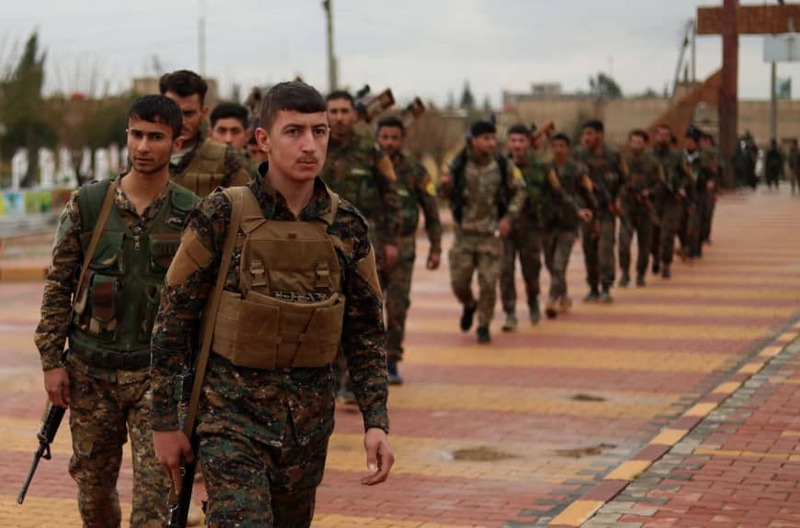 Backed by airstrikes of the U.S.-led coalition against IS, the Kurdish-Arab alliance has in recent months cornered the jihadis in a final pocket of territory in Syria’s eastern province of Deir Ezzor. After a pause of more than a week to allow civilians to flee, the SDF said Saturday it had resumed the fight to seize the last 4-sq.-km (1-sq.-mile) patch from the jihadis. “The SDF have launched the final battle to crush IS … in the village of Baghouz,” the SDF said in a statement. “After 10 days of evacuating more than 20,000 civilians … the battle was launched tonight” to wipe out the last remnants of the organization, it said. “We have special units whose job it is to direct civilians to corridors they can cross” to safety, he said. On Thursday, the coalition said the “caliphate” had massively shrunk. The SDF launched an operation to expel IS from Deir Ezzor in September, and has slowly advanced against IS despite the jihadis putting up fierce resistance. Despite its caliphate being on the brink of collapse, IS still retains a presence in Syria’s vast Badia desert and has carried out deadly attacks in SDF-held territory. Neighboring Turkey sees Syrian Kurdish fighters as “terrorists” and has repeatedly threatened to attack YPG-held areas along its southern border. Almost eight years into the war, President Bashar Assad’s regime has advanced against rebels and jihadis, and holds nearly two-thirds of the country. Damascus has rejected Kurdish self-rule, and has said it would eventually return the oil-rich third of the country now held by the SDF to government control.